After a slow start, most of President Trump’s nominees for financial regulatory posts are in office or on their way to confirmation. One thing many of them share: experience working at banks, which was rare under the previous administration. Together, they will have a major effect both on regulatory policy and on day-by-day bank supervision. Jerome “Jay” Powell has served on the Fed board since 2012, when President Obama named him as a Republican in a package of Fed nominees. Powell is the first Fed chairman since the 1970 (with a brief exception during the Carter years) not to be an economist; trained as a lawyer, Powell worked in private practice and then investment banking in the 1980s. He served as Treasury under secretary for domestic finance during the George H.W. Bush administration, then returned to the private sector to work in private equity at the Carlyle Group. 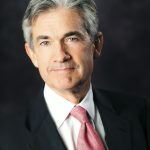 During his time on the Fed, Powell has focused closely on banking issues, including serving on the committee of governors who oversee bank supervision and leading the Fed’s payments oversight efforts. “Without bank participation, it would be difficult to change how funds are transferred in a way that brings pervasive benefits to consumers,” he said in a speech last year on the emergence of new payments technology. Powell has supported the Fed’s post-crisis rulemaking efforts but also been quicker than many of his peers on the board to support targeted reforms. At press time, the Senate had not confirmed an additional Trump nominee to the Fed board, Carnegie Mellon University economist Marvin Goodfriend. 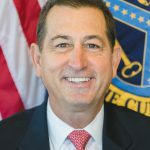 Joseph Otting is a rarity among the ranks of past comptrollers: a bank executive in a role historically held by bank attorneys or regulatory officials. A native of Iowa, Otting began his career with Bank of America, working in branch management, preferred banking and commercial lending. He later worked at Union Bank in California as EVP and head of commercial banking, then became vice chairman overseeing the commercial banking group at U.S. Bancorp. In 2010, Otting joined OneWest Bank, whose holding company had been the sole bidder for the remains of failed thrift IndyMac when the FDIC auctioned it. (Future Trump Treasury Secretary Steven Mnuchin was chairman of OneWest and leader of the group bidding for IndyMac’s assets.) Otting served as president and CEO of OneWest until 2015, when the bank was sold to CIT Group in a $3.4 billion deal. 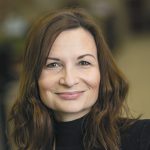 Jelena McWilliams’ path to agency leadership in Washington is perhaps the most winding in this story. Born Jelena Obrenic in Belgrade, the capital of the former Yugoslavia, she arrived in the United States with just $500 to her name on a high school exchange program as her country was violently breaking apart. An avid new American, she paid her way through the University of California, Berkeley, with minimum wage jobs. She became a financial attorney after law school. McWilliams worked at the Federal Reserve in 2007 and moved to Capitol Hill in 2010, where from 2012 to 2017 she was senior counsel to the Republican leader on the Senate Banking Committee—including serving as chief counsel to Chairman Richard Shelby (R-Ala.) from 2015 to 2017. She became known for her encyclopedic knowledge of the Dodd-Frank Act—and for, on occasion, carrying around a copy of the 848-page statute. At the beginning of 2017, McWilliams joined Cincinnati-based Fifth Third Bank as EVP, chief legal officer and corporate secretary. When this magazine went to press, the Senate had not yet confirmed McWilliams to her new post. 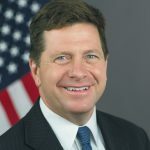 In May 2017, Jay Clayton took office as SEC chairman after a two-decade career as a partner at Sullivan and Cromwell, advising companies on securities issues, mergers and acquisitions, regulatory matters and corporate governance. In a speech he gave last summer, Clayton outlined several principles for his chairmanship, including an awareness of the way that cumulative regulatory changes can drive market activities—by contributing to the long-term trend away from public company listings, for example. He also emphasized the need for the SEC to evolve along with markets, to focus on “Main Street” investor protection, to support market participants in ongoing compliance and to write rules clearly. Late in December, the Senate confirmed two additional commissioners: former Shelby attorney and Mercatus Center fellow Hester Peirce and Columbia Law School professor Robert Jackson. 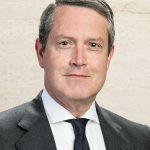 Peirce’s work on the shortcomings of many Dodd-Frank provisions, and the law’s deleterious effects on community banks, has been widely publicized. Under the Dodd-Frank Act, the CFTC has become increasingly visible to bankers. 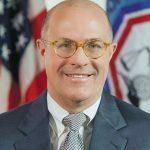 Serving on the CFTC since 2014, Trump named Chris Giancarlo as chairman in 2017. 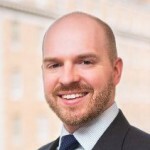 He was previously EVP at financial services firm GFI Group, legal counsel for a software firm and an attorney in private practice. Also last year, Giancarlo was joined by two Trump-appointed commissioners: Brian Quintenz, who previously led a commodity pool operator, and Rostin Behnam, a senior agriculture staffer on Capitol Hill. 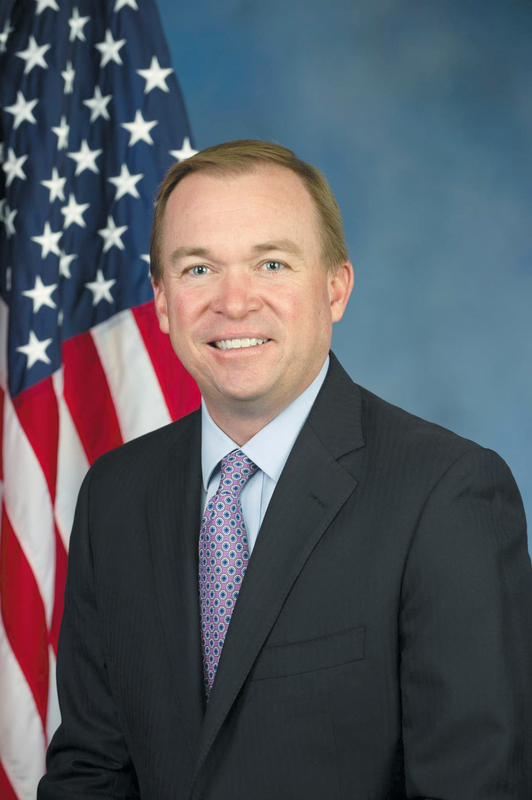 Office of Management and Budget Director Mick Mulvaney has been pulling double duty as CFPB acting director since November 2017, and as of press time, a permanent replacement had not been named. 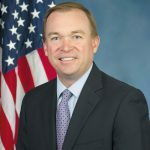 Mulvaney’s first acts included a freeze of all pending regulatory work, enforcement actions and hiring so he could get his arms around the bureau’s activities. His appointment was challenged in court by the bureau’s deputy director, Leandra English, but at press time, courts had sided with Mulvaney.